particular chakra can spin faster and radiate excess of heat. interval of every 1 hour. 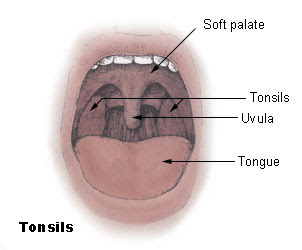 Though, the primary reason is to avoid any infections to be communicated from one person to the other, another factor that must be considered is the regular cleansing of your tonsils. When you drink water bending your neck and let it flow from top, it obviously flows over your tonsils and cleans them. Thus, it will wash away unnecessary food particles and maintain your throat in order. If water is being violently pumped and is travelling to your house through many turns in pipes, with all these pressures bends and turns, much negativity happens to the water. But while water has memory, it also has a way of unfolding itself back into its original state. If you just leave this tap water undisturbed for an hour, the negativity will undo itself. After much experimentation has been done on water the researchers have found that water has memory where it remembers everything that it touches. That is why our forefathers of South India are very concerned with how we store the water. When it comes to storing water, the earthen pots occupy the primary position. If you keep water in a copper vessel, preferably overnight or at least for three to four hours, the water acquires a certain quality from the copper which is very good for your liver in particular and your health and energy in general. Drinking water stored in copper vessel have anti-viral and anti-bacterial properties and kills micro organisms. The water becomes a valuable electrolyte to maintain balance in our electrical body, and gets energized making it more bio-available and tastier. Siddha Masters acclaimed copper as one of the most valuable elements in earth. They referred copper as Lord Shiva’s energy transmission element. In many siddha books we can notice, they have mentioned copper been vastly used in various spiritual rituals compared to silver and gold. Siddha Master Korakar states if Gold and Silver considered as body then copper will be the soul. There is a rule written in scriptures, those who crafting metallic statues of gods, must include certain percentage of copper in it. Otherwise the sculpture will not have the ability to transform divine energy. Your article gives so much of interesting facts. Thank you for posting it...!! !